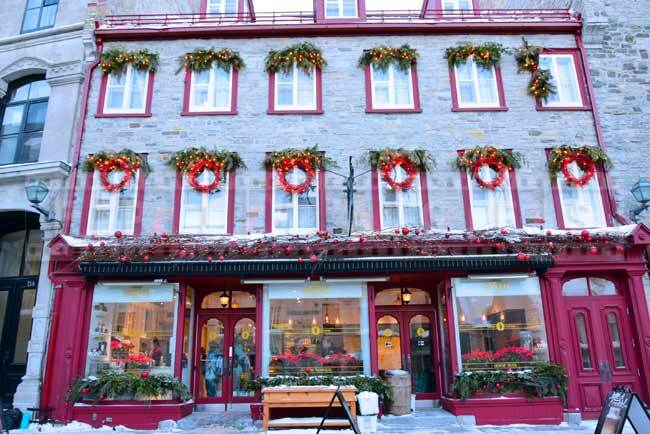 Old Quebec is one of the most romantic getaways in winter season. 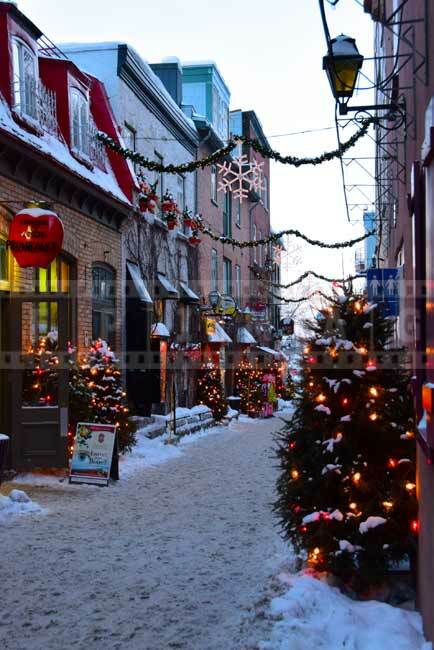 Very romantic thing to do in Quebec city in winter is to go for a walk through old Quebec or Vieux Quebec in French. The best month to visit this romantic getaway is early February. 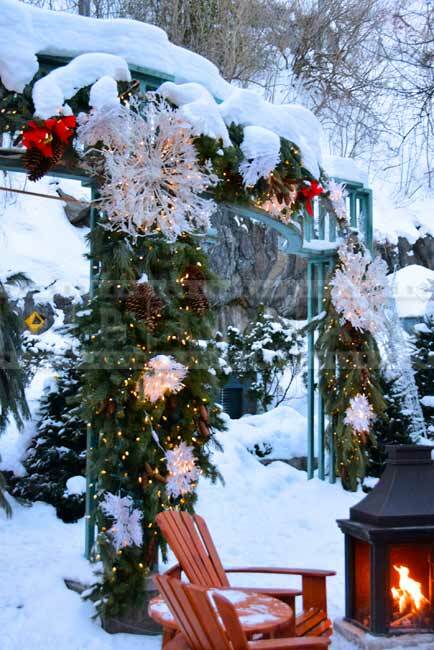 Outdoor Christmas decorations are still up and Quebec winter carnival adds to the romantic ambiance. 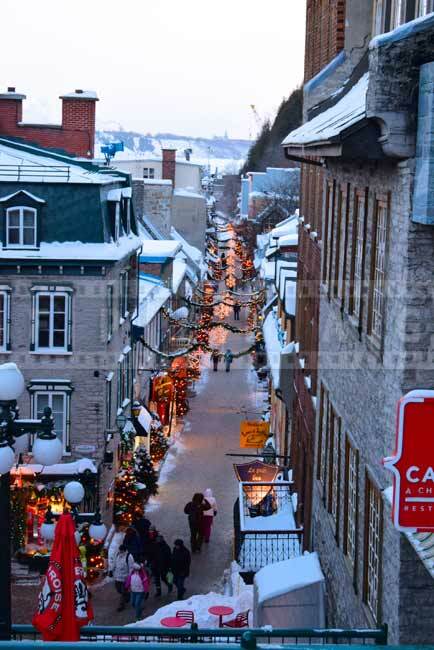 Old Quebec walk in winter is the best just before sunset. This time of day is magical in any location, but here in Vieux Quebec it is really special. 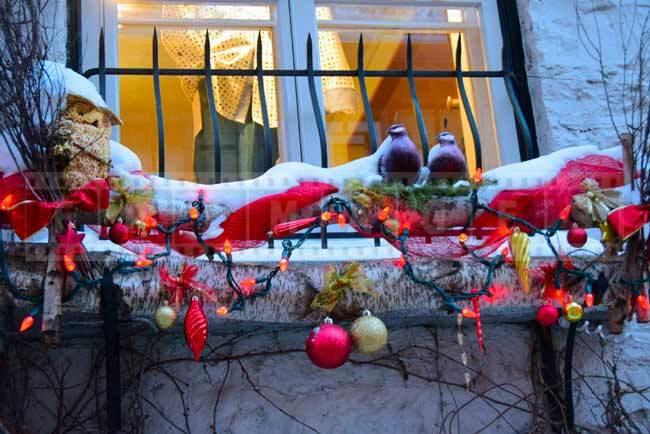 Outdoor Christmas decorations are lit up and stores and restaurants turn on their lights too. The clear winter skies glow with the setting sun. 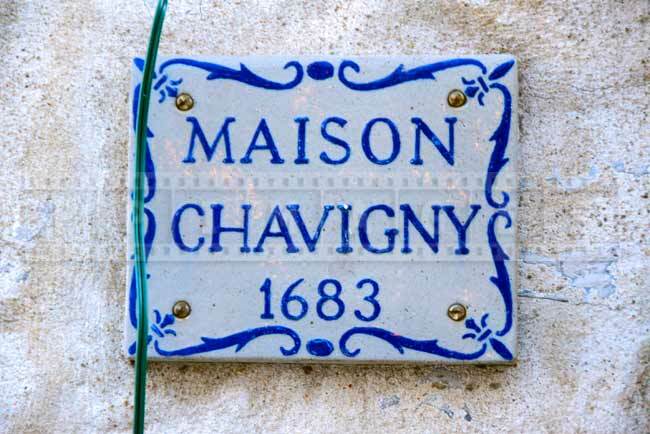 This is when you want to walk through Petit Champlain quarters. 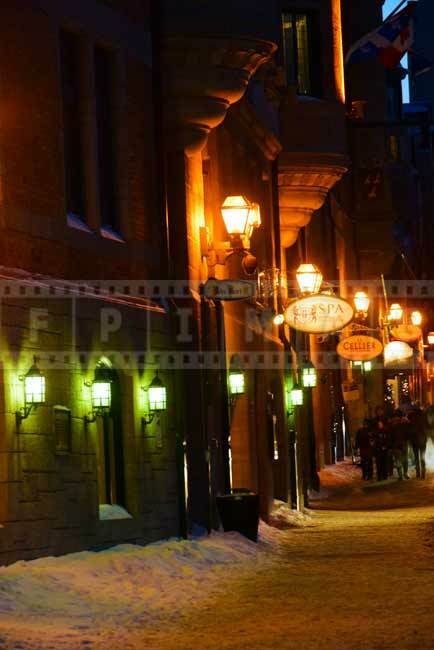 Romantic scenes are everywhere in Petit Champlain, Quebec City, Canada. Well preserved old buildings and street create typical European cityscape. You can take lots of romantic pics on this location. 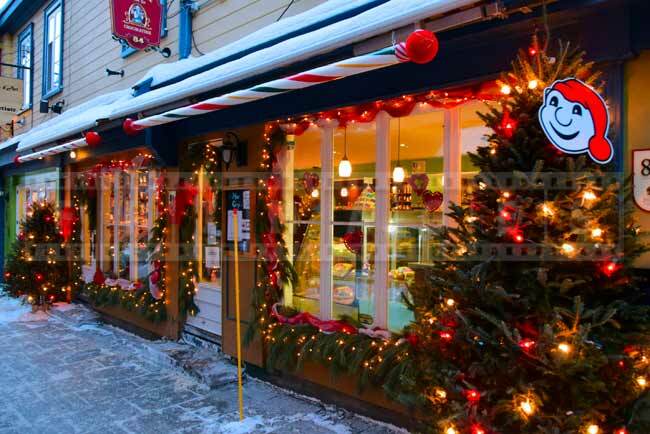 It is very cold in Quebec city, Canada this time of year and all shops and restaurants look cozy and inviting from the outside. Quebec winter carnival happens to be just before Valentines. 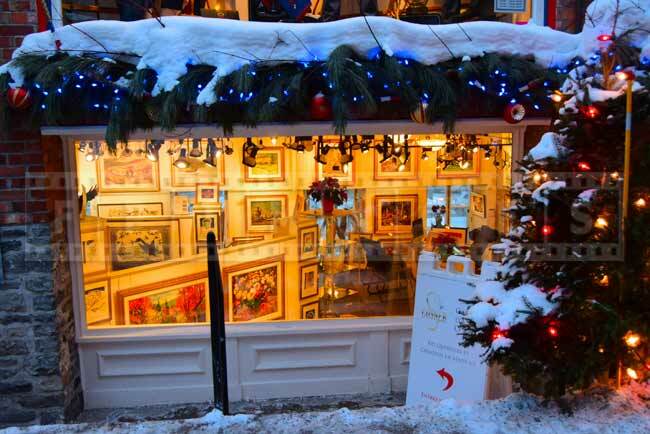 This is just one more reason to select Quebec city as your winter vacation idea and romantic getaway. 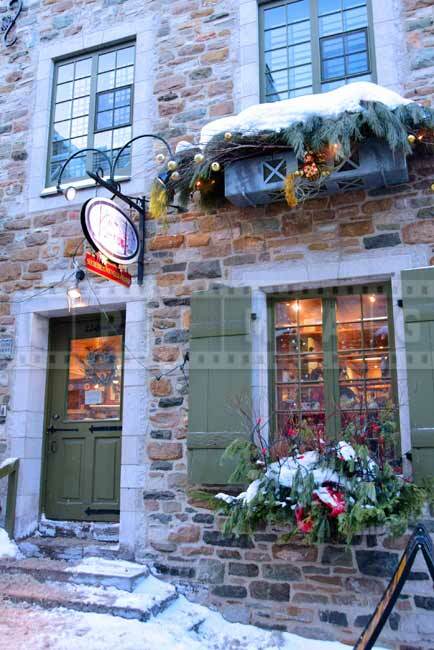 Petit Champlain quarters in Vieux Quebec has many shops with unique gifts for her and for him. There are several chocolate stores and stores selling various maple syrup products. 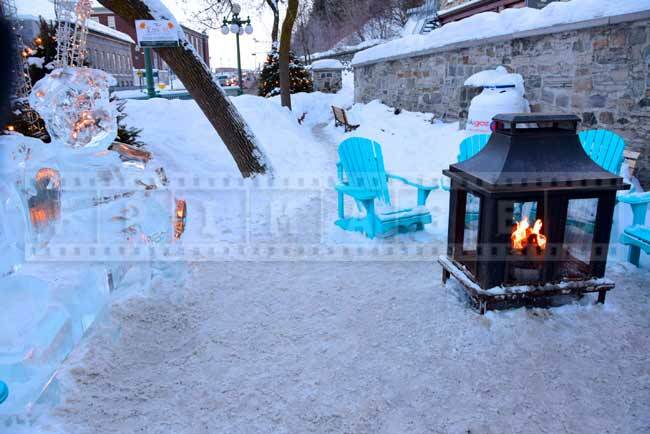 Petit Champlain streets have many ice sculptures, ice benches and a small ice slide. 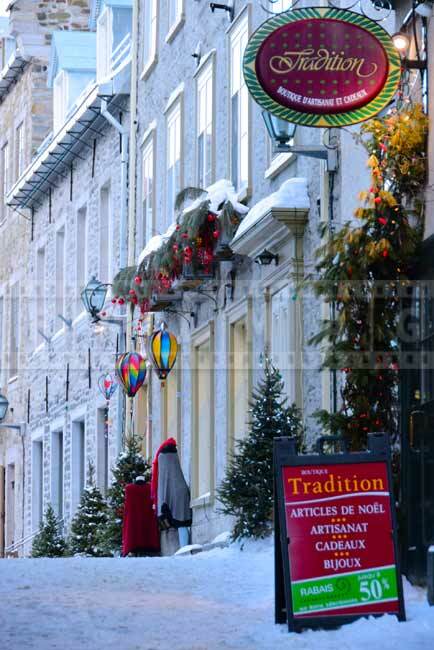 Old Quebec likes and celebrates its winters. If you are tired walking or getting cold you can find several outdoor fireplaces where you can warm up and have a hot beverage or a drink. 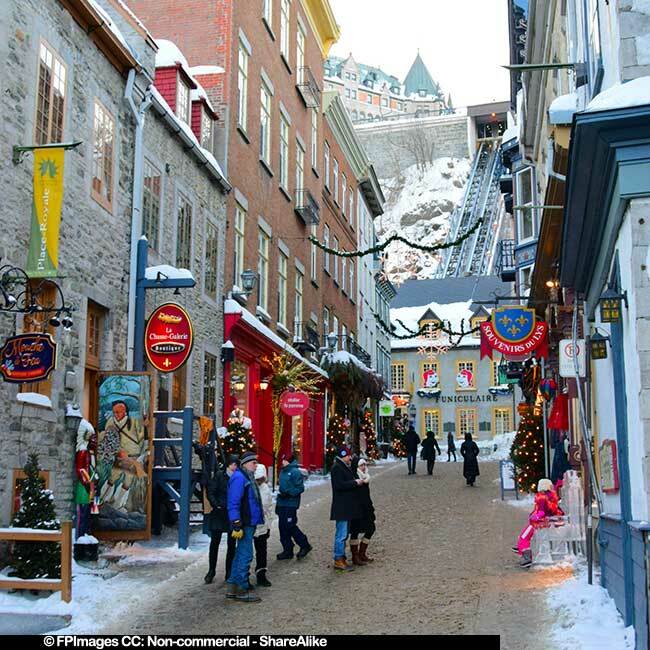 Quebec city is cold in February but if you dress appropriately you can have lots of fun while visiting this romantic getaway. 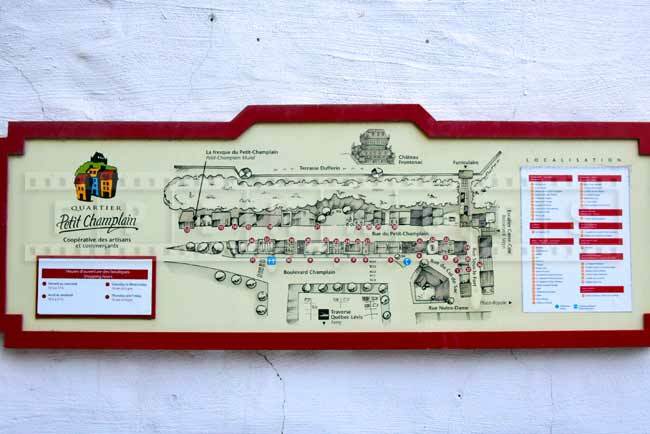 When done exploring Petit Champlain in old Quebec you can make you way up using funicular car or Chateau Frontenac stairs. Romantic scene of Vieux Quebec is dominated by this famous and apparently most photographed hotel. Chateau Frontenac and area of old town around it is also worth strolling through. 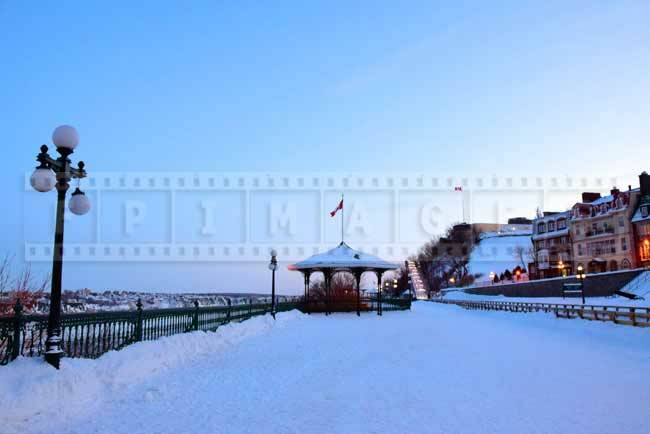 The promenade overlooking St. Lawrence river has beautiful gazebos and street lights. Little further closer to the Quebec citadel you can take a free toboggan ride. The walk through old Quebec at sunset is a great romantic idea. After being outside for a long time you are sure to work up a nice appetite. A perfect complement to this would a nice romantic dinner. Quebec is famous for its cuisine which is a tasty fusion of French and North American cultures. 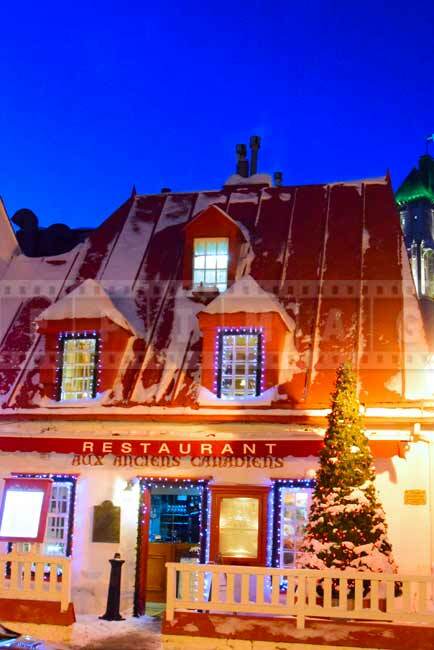 If you would like to experience traditional French Canadian food then have a romantic dinner at Aux Anciens Canadiens restaurant.